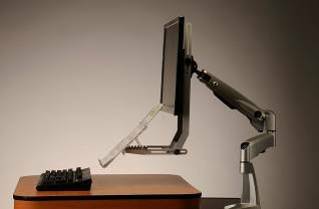 VuRyte 59GR Monitor Mounted MemoScape Document Holder is an adjustable in angle and height and depth…Adapts to existing monitor arms with a VESA attachment plate….Small or full size document support. Adjusts without any tools. 6 angle settings. Document holder dimensions: 12.25 ” W x 5.25 “-11 ” H. Looking for European distributors.